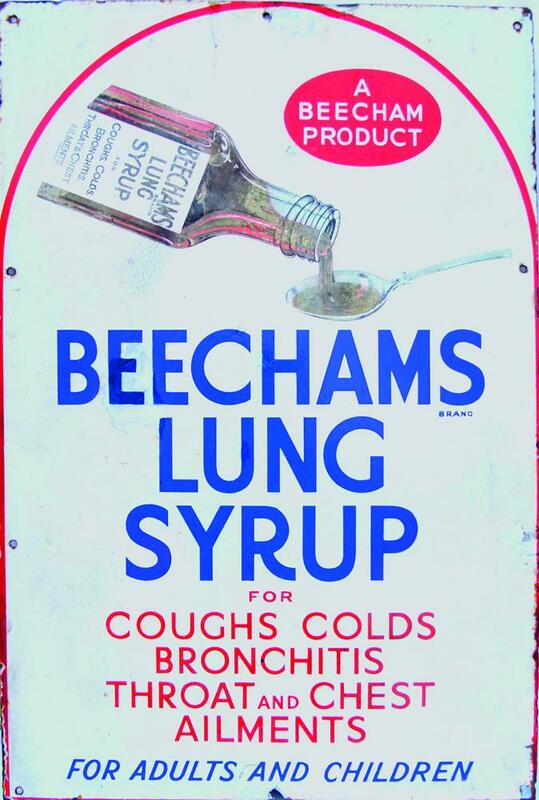 Enamel Advertising Sign 'Beechams Lung Syrup For Coughs, Colds, Bronchitis, Throat and Chest Ailments - For Adults and Children'. Image of the syrup bottle pouring into a spoon. Red and blue text on a white ground Measures 20 x 30. Has some restoration but a scarce sign nevertheless.